My mom is a great cook, and at least 90% of her dishes are all very spicy. Chile is an ingredient that just makes everything so much more delicious. Even now, my mom continues to make her own salsa by hand and has her fridge full of different flavors. But I don't have the same talent as her either for cooking, not for making my own hot sauce, so I buy mine at the store. 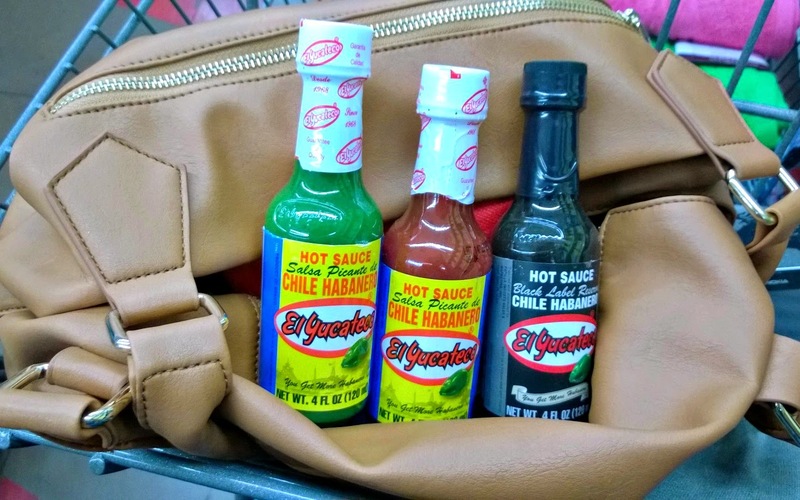 It's of course not the same as having my mom's homemade hot sauce, but it works, and we love pouring hot sauce on everything. 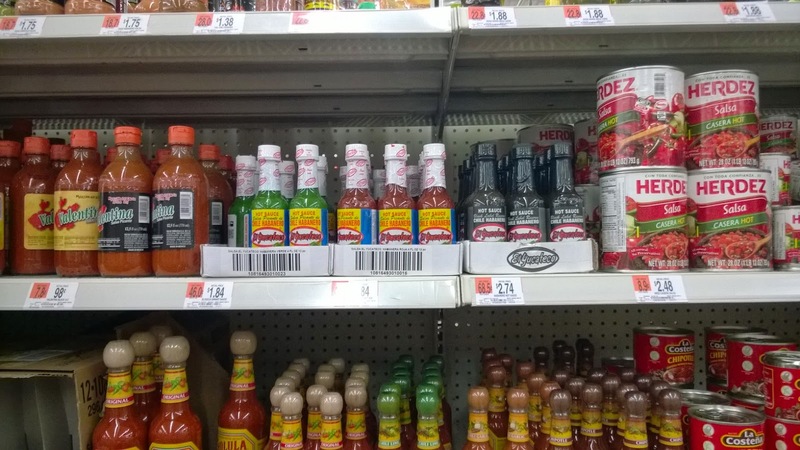 This week I took a trip to my ever faithful Walmart to try out a new-to-me line of sauces from El Yucateco. I found these in the Hispanic section along with all of the other salsas. I found three of the four available flavors: Red Habanero Sauce, Green Habanero Sauce and Black Label Reserve. Black Label Reserve is exclusively available at Walmart. I could not wait to put these babies to the test with a refreshing summer recipe. It's over 100 degrees in my town, the last thing we want to do is turn on the stove three times a day. So I have been trying out a variety of cold dishes so that we can be in and out of that kitchen fast, and still enjoy a fresh and refreshing lunch. Today I made another one of my "famous" quick lunches, Ensalada de Atun Habanero. This is just a cold tuna salad with no mayo or heavy ingredients, so it's just super light and fresh. The perfect partner to a very tall, iced cold glass of sweet tea! Wash all of your produce and cut accordingly, picking out a few large leaves of lettuce leaves to serve as your wraps. Drain your tuna and mix in a bowl with the tomatoes, onion and squeeze of lemon juice. Spoon in the hot sauce and season with salt and pepper. Serve on lettuce leaves and you are ready to enjoy. Join us at the bilingual #SauceOn Twitter Party for inspiration and ideas on how to bring more excitement to your everyday meals by using El Yucateco. We’ll be sharing delicious and exciting recipes using El Yucateco and there will be $550 in Walmart gift cards! RSVP at this link. Find many more recipes featuring El Yucateco sauces by visiting El Yucateco online. Find these sauces at Walmart so you can incorporate them into your summer recipes and for a chance to win an entire prize pack enter below. 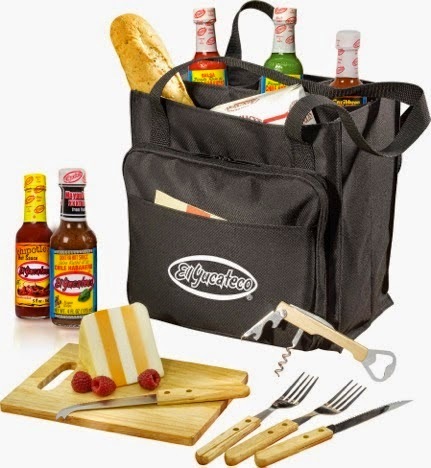 ONE lucky winner with a $75 Walmart gift card + Gift Basket will include El Yucateco products and apparel, a wood cutting board and cheese knives worth approx. $80 in retail value.